Canine physical therapy is becoming more popular among physical therapists who are looking for non-clinical PT career options. 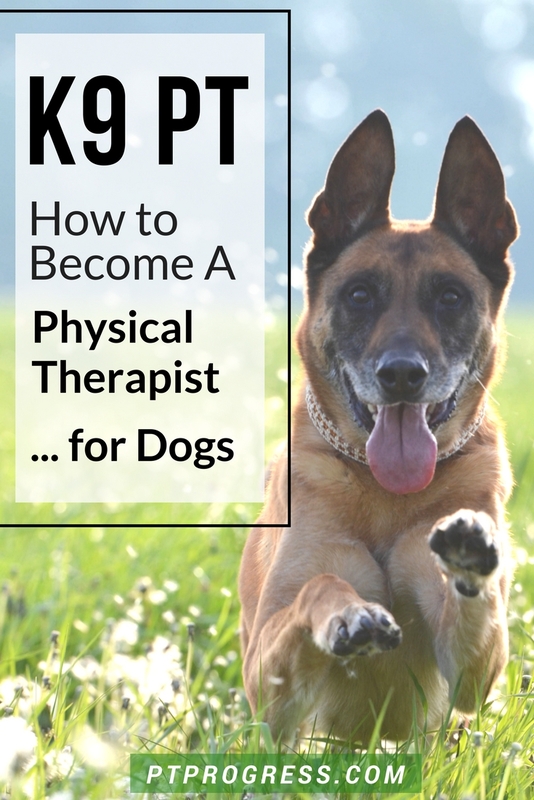 Whether you’re looking for an enjoyable side hustle or want to become a canine physical therapist full time, there are a few things you should know about the process of becoming a canine rehabilitation specialist. In order to provide physical therapy for dogs, you need to fulfill a few requirements before you can complete canine rehabilitation certification. 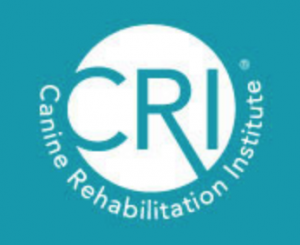 Currently there are two programs that offer a canine rehabilitation certification: Canine Rehabilitation Institute (CRI) and the University of Tennessee in Knoxville (UT). Let’s take a look at the requirements for each. First, you must have a degree in physical or occupational therapy from an accredited program. The Canine Rehabilitation Institute allows certification for licensed veterinarians, physical therapists, and veterinary technicians/nurses. The University of Tennessee allows veterinarians, vet techs, PTs, PTAs, OTs and students of these professional programs. The UT-CCRP program includes 2 Online Modules, 5 day lab, an online elective course. It also includes a clinical practicum and a live exam to be taken at the University of Tennessee Knoxville. There is flexibility in taking the online courses, allowing you to take them at any time. You must sign up in advance for the in-person lab requirements. Canine V: Elective: Online elective course options include: Canine Sports Medicine, The Head to Tail Series, Osteoarthritis Management, and Companion Animal Pain Management. Canine VI: Clinical Practicum (Externship & Case Studies) This is the individual portion of the program. You are required to complete five case studies and a 40 hour externship. Canine VI is due two months prior to the exam you would like to sit for. The CRI program requires three modules to be completed in person at their facilities in Florida (Coral Springs, FL) or Colorado (Wheat Ridge, CO / Westminster, CO). Modules 1 & 2 are 5 days and Module 3 is a 3 day in person training course. After each course, the participant is provided with an open-book take-home final exam. The student has 30 days to complete the exam and is allowed to collaborate with classmates to do so. After completing the 3 course modules and exams, they are required to complete a 40-hour internship at a CRI-approved practice. Module 1: Introduction to Canine Rehabilitation. This module provides students with a fundamental understanding of canine anatomy, physiology and biomechanics. Module 2: Canine Rehabilitation Therapist. This module introduces students to clinical assessment, goal-setting, treatment planning and outcome measurement in canine rehabilitation from a physical therapy perspective. Module 3: Canine Sports Medicine. This module provides students with a fundamental understanding of structure and locomotion as they relate to performance, and an introduction to canine sporting events. 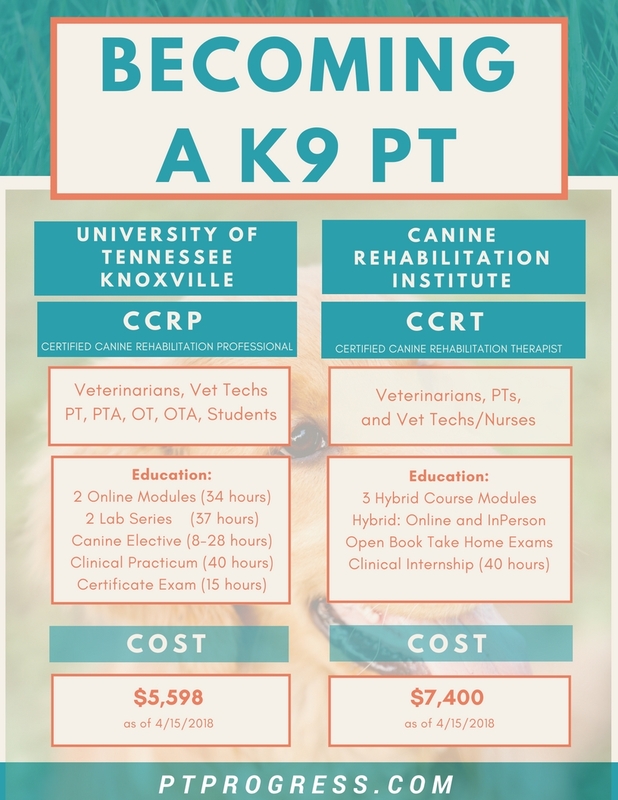 Both the University of Tennessee Knoxville and Canine Rehabilitation Institute programs will equip you to perform canine rehabilitation. The biggest difference appears to be the learning style and teaching methods. If you prefer a hands on teaching format and have flexibility to take week long courses in person, take a look at the CRI program. If you are limited in your ability to take time to travel to in person courses, the University of Tennessee Knoxville program may provide some flexibility for you. Here’s a graphic of the difference between the programs. How long does it take to complete the certifications? In both programs, the expected time to complete the courses is 6-12 months. It depends on how quickly you can complete the modules, your ability to pay for the courses, and the availability of the in-person training components. Can a Physical Therapist Assistant become a canine rehabilitation specialist? Yes, but your only option for certification is through the University of Tennessee. Can Occupational Therapist be certified in canine therapy? The University of Tennessee allows OTs and OTAs to be a part of the program; CRI does not allow OTs into their program at this time. Does having a certification allow me to practice PT on dogs anywhere? Unfortunately, no. Be sure to check with your state to see if you can perform canine rehabilitation and under what guidelines you are able to practice. What does a Canine Rehabilitation Specialist Do? I was fortunate to work with a Canine Physical Therapist in St. Louis during my last year of training in the DPT program. Watching her work with dogs gave me a much better understanding of what to expect as a “K9 PT”. The overall goal is similar to PT for humans: improve the overall function of the dog so it can return to a desired level of physical activity. The Evaluation – The evaluation process is similar to human PT, assessing the dog’s ability to perform functional movements, gait analysis, transfers, joint mobility, ROM, strength, neuro testing, balance, and a full medical history from the pet handler or owner. From this information, the therapist is able to put together a plan of care and goals that often include a specific home exercise program to be performed under the supervision of the pet’s handler. Dog PT Treatment – Most people think of underwater treadmills as the primary treatment for dogs receiving physical therapy. While this is a common treatment for dogs, it’s also common to provide specific therapeutic exercises to improve strength, ROM, and movement patterns. In addition to therapeutic exercise, manual therapy techniques such as soft tissue massage, joint mobilization and modalities (cold, heat, laser therapy, ultrasound, TENS/NMES) can also be a part of the treatment provided. As for wheeled carts and assistive devices, the canine rehabilitation specialist is trained to provide recommendations for equipment as well. How Much Do Canine Physical Therapists Make? This is the most common question I hear from PTs who hear about my experiences working with a canine PT. The answer depends on how much time you are devoting to the specialty. If you treat 2-3 dogs per week, it’s obviously a side hustle that may generate a few hundred dollars a month. In the full time canine rehab practice I shadowed, the therapist worked in the basement of a vet clinic. She would provide ‘inpatient’ rehab to the patients admitted to the pet hospital as well as outpatient services. On average, I observed her treat about 8-10 patients a day, charging an average of $50 per visit (cash, not insurance). With a full caseload of 8 patients per day and $50 per visit, the annual revenue computes to $100,000 (assuming no cancellations and a 100% schedule). But this does not take into consideration the rent for the facility, equipment, and other expenses. Rent can vary significantly depending on your region, but let’s estimate $1,000 a month for a small room in a vet’s office. Now let’s add at least $500 a month for the equipment loan required to pay for the underwater treadmill, overground treadmill, and other equipment you need to provide your services. That drops your net revenue to around $80,000 – and that’s assuming you have a full caseload and you’re the only one performing therapy. In her practice, she did have a part time assistant who would provide help as needed. I did not inquire about the rate of pay for her services, but it’s easy to estimate at least $1,000 a month for a very part time position. Even with a full time setup like I’ve described above, I would estimate her income to be somewhere in the neighborhood of $60,000 per year. Should You Become a Certified Canine Rehabilitation Specialist? Replacing your full time PT income will not happen overnight. If that’s your goal in becoming a PT for dogs, you should reassess your motives. Providing canine rehab is rewarding and is a great change of pace for someone who is burned out of the daily clinical tasks of PT. If you’re looking for a challenge and opportunity to work with dogs who need rehab services and don’t mind starting small, then take a look at becoming a canine PT. Please update your info as COTAs are no longer admitted into the UT program. I learned this the hard way because I went to OTA school with the intent to continue at UT.